Few of the last pictures are known by many people, but I never saw any of the production. Is there anyone who can translate the text? 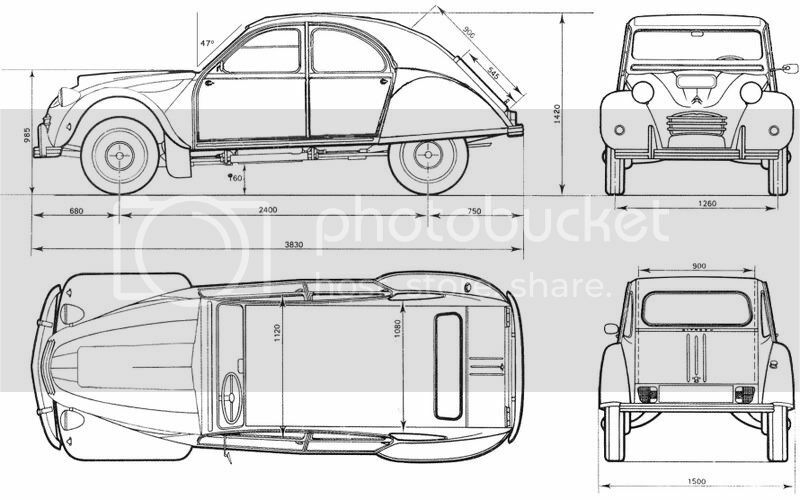 The success of the 2CV is fast becoming a source of inspiration for body shops and mechanics . Less than a year after its commercialization , many automakers are working preparers and props to transform and improve the performance of this little car speed deliberately modest. Jean Dagonet is the mechanics. In 1952 , he spent long hours in his workshop in the Marne Faverolles wearing twin 425 cm3 375 cm3 speed from 60-70 km / h.
In 1953, the cylinders appear inside chrome aluminum "DF ( Dagonet Faverolles ) Chromium . So prized by collectors ! The Bol d' Or in 1954 he is seen making out one of these two 2cv. Workshops offering Faverolles 2CV owners a whole range of processing to increase the power of their engines. After interest in the engine, he tackles the aesthetics of our 2CV and from 1953 to 1957, Jean Dagonet offers several bodies as modern as original . Like any race car driver in the mid- 50s, he knows that the performance of a car depends on its aerodynamics offering the least wind resistance possible. Thus was born the Drop in DF . Requiring two techniques that modelers are familiar , some sheet metal and other fiberglass ( resin for minis ). The public speaking simply of " plastic " , which became very fashionable at that time . Sheet metal workers are responsible for reducing the overall height of 18 centimeters in the car : the chassis is first modified , the windshield angle of 12 degrees to the rear, the center pillar and cut down 5 inches to the back . Given these changes the lateral flag , the front and rear doors and the bonnet are executed in resin reinforced fiberglass woven . This new method also saves on the weight of the car about 10 Kg by Dagonet itself. This new CX , this lowered center of gravity to increase the speed of 10 km new / H. and gain in handling. It will further improve its technical castings and assemblies from the canvas top to the flag in one piece. There were many fans , drivers or rally eaters miles to buy one of 2 2cv "Wizard of Faverolles . The reporting period showing the exploits of this car are many, however, nobody can say how many were produced? Today there are 3 survivors in which a single canvas top . 1988 built (1989 F-registered) Citroën 2CV-Six UK's most northerly resident 2CV. 1932 Morris Minor 2-Seater Tourer (The £100 car). Anybody like to translate that translation? Zookeeper of a miscellany of motorised silliness - from 0.75bhp to 9ft tall - now living life on the road in an old VW. Been waiting for somebody to say that. I translated this article some time ago, lets see if this upload works. File comment: This is an article originally in French which i translated, but i don't speak French so it took a lot of research! It is M9 for the shocks yes, the rest I'll check when next i'm underneath her. Ironically, this will be valentines day. Hmm interesting! Nice one Harley. here is a Photoshop i did of the Dagonet dimensions.